Networking can be stressful, even for those who are extroverts and social butterflies. Throwing an introvert into a room full of strangers? You may as well throw them into a pond filled with piranhas with laser beams on their frigging heads. 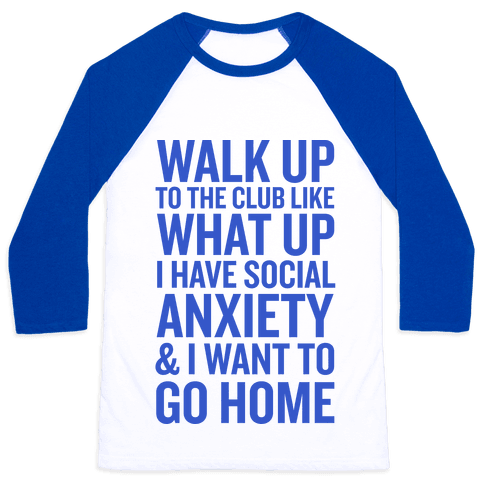 I have met quite a few people who avoid networking and social events because of their social anxiety, it’s paralyzing and unless you go through it, it’s very hard for others to understand. Introverts are often very creative people, which is why in the maker community, it’s not uncommon to come across someone who is naturally shy or introverted. We at YYC Girl Gang want to make everyone feel comfortable to come out to our networking events. We want you to you meet new people and be able to challenge your fears in a room with like minded people. Keep in mind that when you do come to an event, people in attendance will be introverts as well. Think of the events as acting like a safety net. You can even come just to practice your networking skills and hopefully graduate to attending even large social events! I have recently developed full on social anxiety and do have trouble sometimes in large group settings. You’re not alone! Recommendations that emphasize networking by volume are often correct, but they can also be overwhelming for an introvert trying to start the process. Introverts should concern themselves with getting through the first one or two networking meetings, and then the next three or four. Breaking down networking into lots of concrete steps can make a nerve-wracking process more manageable and less overwhelming — don’t get caught up thinking, ‘How am I going to do this 50 or 100 times? The same advice applies to the results you’re expecting out of networking. Many of my clients will say, I’ve been told I need to get at least two new connections from every person I speak to,’ and they feel they’ve failed if that doesn’t happen. I tell them not to focus on what they ‘should’ be doing, because that’s someone else’s opinion, and it can ratchet up their anxiety level. Don’t show up at a big live event and attempt to make cold connections. Instead, before the event, connect with a few people who’ll also be attending. These should be people you may have connected with in social media, but whom you’ve never met before. Arrange to meet for coffee or sit together at lunch, or organize dinner with a small group of people. This gives you a context in which to meet people for the first time, which will make the face-to-face meeting much easier. Smaller groups are also more manageable for introverts, so if necessary, create your own. Aim to have one-on-one conversations. Without making the conversation sound like an interrogation, make it your mission to find something interesting about the other person. Dig for common interests and experiences. If it helps, imagine you’re a journalist whose assignment is to produce a compelling feature about the person in front of you. Really listen. Don’t think of what you’re going to say next. That will come naturally when you actually pay attention to what the other person is saying. Fortunately, introverts are usually good listeners to begin with. Ask yourself how you might be able to help that person out. What simple but valuable thing could you do? Could you introduce him or her to someone, send a useful article, or give practical help using your expertise? Now’s the time to ask for the person’s business card and take notes. When appropriate, arrange to meet again outside the event, so you can learn more about him or her. Unlike an interview where you are in someone else’s meeting, networking is your meeting, and you are leading it. Planning out an agenda can help you guide the conversation and plan for specific outcomes. Be ready to talk about who you are, what you are trying to find, and what kind of help you are seeking. Make sure you know what your ultimate goal is for this particular networking event. For example, are you working to meet and build LinkedIn connections with five people in your industry? Or do you want to set up one potential one-on-one meeting to forge a stronger connection? Have questions ready? Write them out ahead of time. Feeling prepared and ready for any kind of interaction can take a lot of the worry and fear out of the networking process. Plan out and rehearse small talk, conversation starters, even questions you might be asked and your responses. By practicing you remove some of the stress of coming up with a response on the spot. By practicing you can figure out how to steer the conversation. You can even get a friend to help you go through possible scenarios and questions ahead of time. 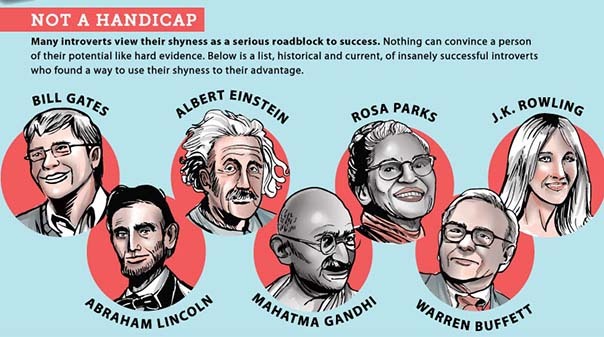 Introverts don’t often display passion in the ways an extrovert will, so it’s important to find alternative ways to express what excites you professionally, as well as what you’ve accomplished. Since introverts often excel at one-on-one communication, this can come in the form of telling stories about the kinds of things you have enjoyed in the past, for example. Try and steer the conversation toward talking about your work, what you’ve created, and your accomplishments rather than talking about yourself, and your passion and your love for the work you do will shine through. Having a professional portfolio also can help give you some concrete examples to point to, and some instant talking points if you’re feeling nervous. Multiple, back-to-back meetings or networking events can be torture for introverts, who tend to need a fair amount of alone time to recharge. If you can, try to leave some time between meetings to rejuvenate – you can do this in your car, in the restroom, by taking a short walk outside or even on public transportation. Introverts tend to berate themselves over social situations that an extrovert would never think twice about. That in itself reinforces their squeamishness about networking. You should recognize that nothing is ever perfect when dealing with human interactions. Some will go better than others, but merely good meetings are not the enemy of the ideal meeting. Even bad meetings are opportunities to learn. I hope this list was helpful and we hope to see you out at one of our events in the New Year!